Getting back into exercise and healthy eating after a ‘short’ break can always be hard work. Recently I decided that I was fed up with eating beige food and feeling drained so I hired a personal trainer and have begun to fall back in love with hitting the gym. We can all make excuses about lack of time or not knowing what to do when you get there, but that’s all it is, excuses. I personally feel it’s a mind over matter situation and If I can look like I belong in Meat Head Corner the weights area then that’s half the battle. 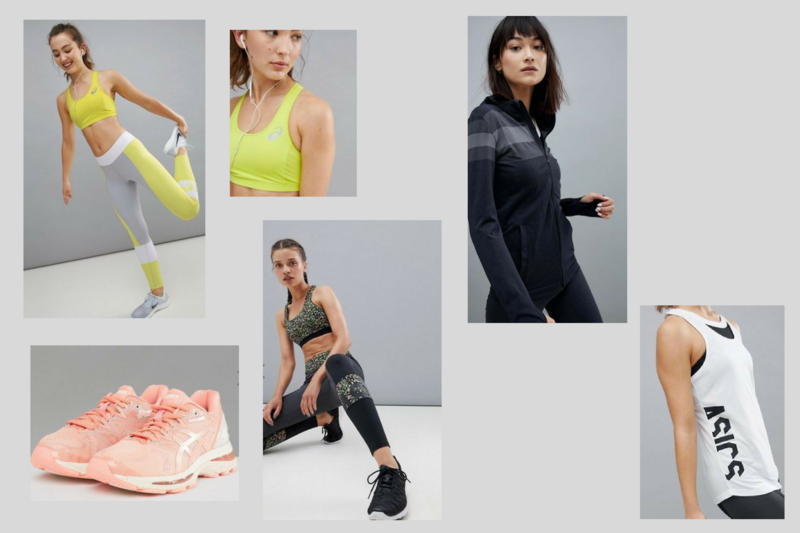 You may not have the body of a 6ft supermodel but investing in some well-fitting gym gear will not only stop you from feeling frumpy around the 21yr old stick insects, it will help you keep your cool while you sweat away in your spinning class. I have chosen three of my favourite sportswear brands to showcase the latest trends on the catwalk treadmill at the moment. ASICS are my favourite brand for anything to do with running. Their trainers are the best on the market for distance running and the clothing is always made for purpose with seamless designs and hard wearing fabrics. ASICS latest collaboration with Liberty’s is their best yet. I think Nike is the best all-around sports brand for gym wear. Their Dri Fit technology is great for any sweaty gym sessions and I think they have the best range of designs and cuts available for all body shapes. I also find Nike clothing & trainers long lasting and easy to wash. 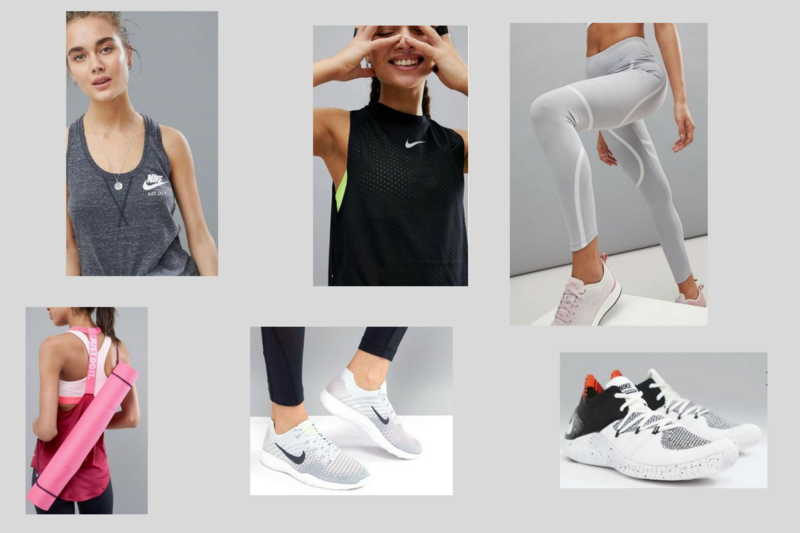 I love the sports range available from ASOS and if you like to mix up your style then the price range is much kinder compared to the bigger sports brands. ASOS is great for slogan tops and bright leggings. I hope this has given you some inspiration to update your gym wear. Comment below with your favourite sports clothing brands. Do you prefer cheap & cheerful or more expensive items built to last?